[toc]Many people suffer from osteoporosis as they grow older. It is a condition in which the bones become porous and thin due to a decrease in the bone mass. Osteoporosis is considered a silent disease as it has no symptoms and affected people only realize they have it when they get a fracture from a minor impact. Osteoporosis is mainly caused by a diet lacking in calcium, phosphorus and magnesium. Another important reason for developing osteoporosis could be a lack of vitamin D in the body. It is needed for proper absorption of calcium and its deficiency can cause your bones to get brittle. If growth and parathyroid hormones are not sufficiently being produced in your body, this can hamper the absorption of calcium and cause osteoporosis. Older people, especially women, are more at risk of developing osteoporosis; hence it is important to get regular bone density checkups done as you start aging. People suffering from osteoporosis are at high risk of developing bone fractures and need to take immediate corrective action in order to prevent their bones from becoming too brittle. These natural cures will help you achieve this purpose and guide you on ways to prevent and reverse this condition effectively. 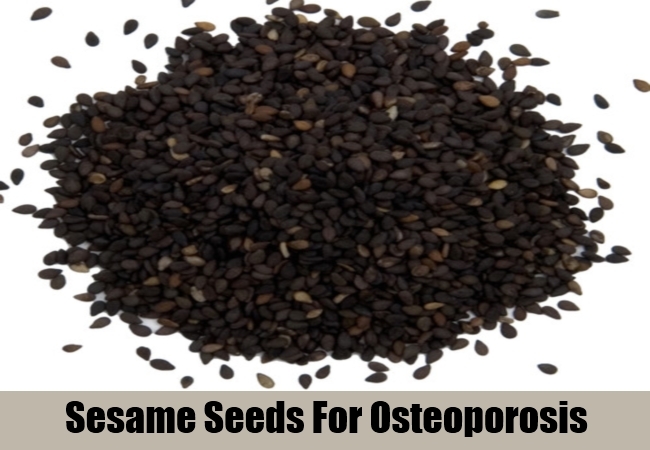 If you have been diagnosed with osteoporosis, sesame seeds are very beneficial for you. 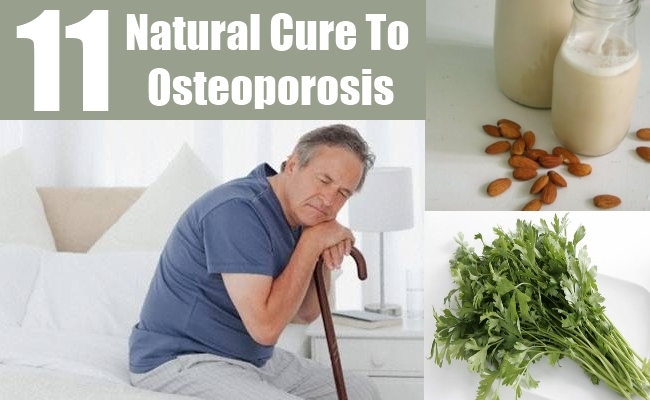 This is one of the simplest and best natural cures for osteoporosis. Sesame seeds are rich sources of essential vitamins and minerals such as calcium, phosphorus, magnesium, copper, vitamin B1 and zinc. Eating just a handful of these early in the morning, when you are starting your day, is the best way to beat osteoporosis. 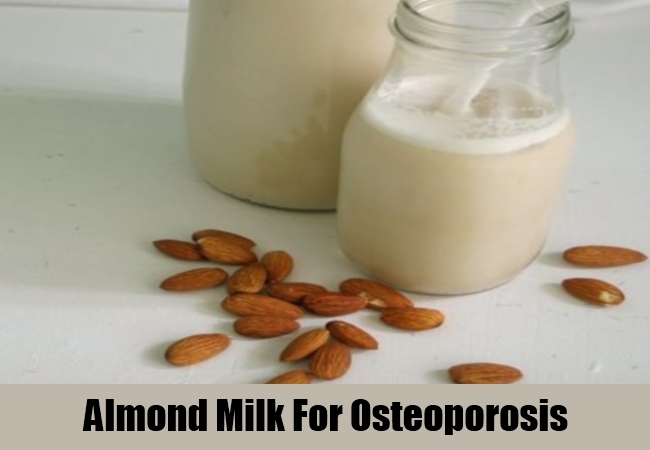 Another effective way to treat osteoporosis naturally is to start your day with a glass of almond milk. Soak 6-8 almonds in water overnight. Peel and make a paste of the softened almonds. Mix in a glass of warm milk and have this delicious drink every morning as it helps strengthen your bones and cures osteoporosis effectively. Parsley is mostly used as a garnish to decorate the dishes, but did you know that it is also very good for your bones? It has rich quantities of boron and fluoride which help to make your bones stronger. 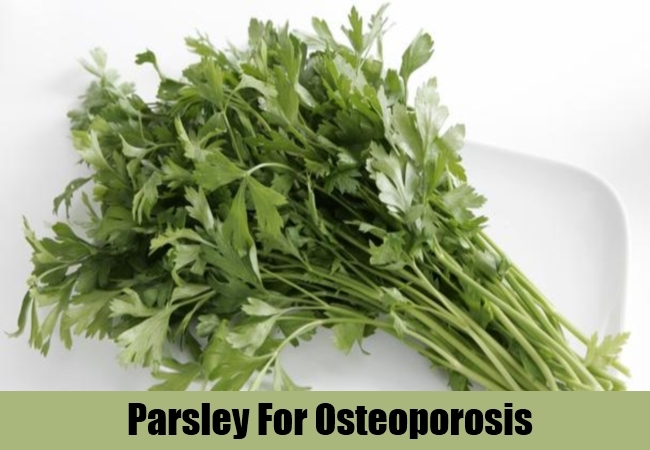 So, have parsley regularly in order to prevent and treat osteoporosis naturally. This plant has very long roots that penetrate deep into the soil and absorb plenty of useful minerals from the earth. 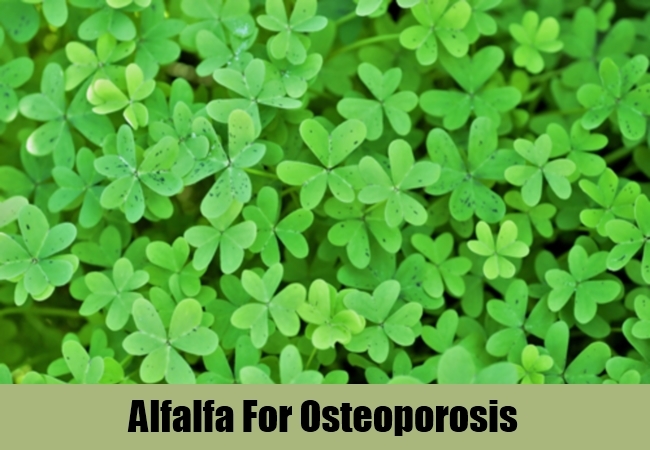 The roots of alfalfa plant contain all these essential vitamins, minerals and additional compounds that act as a natural cure for osteoporosis. Alfalfa is especially rich in calcium, magnesium, phosphorus and vitamin D- all of which are useful in the treatment of osteoporosis. Dandelion leaves are a rich source of calcium, magnesium and other essential vitamins and minerals. 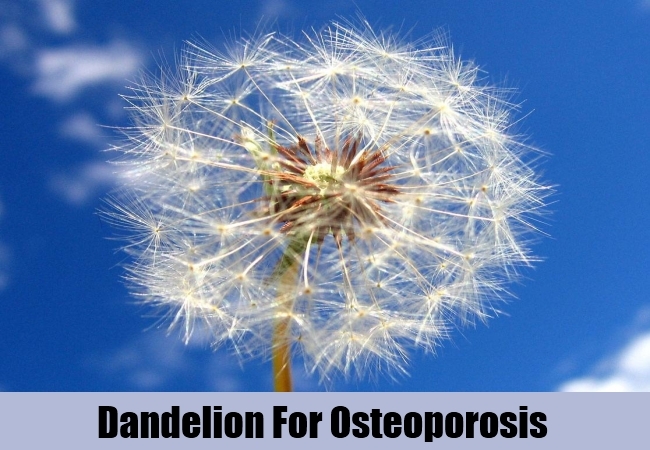 These can be used as an effective natural cure for the treatment of osteoporosis. You can add these to dishes while cooking or use in salads. A very effective way to get its best benefit is to prepare an herbal tea of dandelion and consume it regularly. It will help improve your bone density and make them stronger. An unhealthy gut produces fewer acids which are necessary to break down foods, and this hampers the absorption of nutrients in the stomach. This results in less absorption of calcium, vitamin B12 and magnesium, which are very important for your bones. Apple cider vinegar can be used as a natural cure for this problem. It helps to maintain the right levels of stomach acids, thus aiding in absorption of the nutrients and preventing osteoporosis. 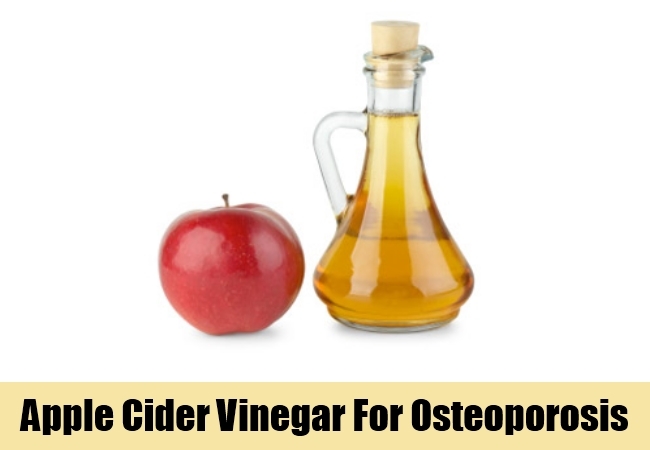 So, mix a tablespoon of apple cider vinegar in a glass of water and have before your meal. Broccoli is one of the richest natural sources of calcium and is very useful in strengthening your bones. It also contains a high amount of vitamin C which is good for your immune system. The fiber quantity is high in broccoli which helps in smooth digestion, thus aiding in the absorption of nutrients. 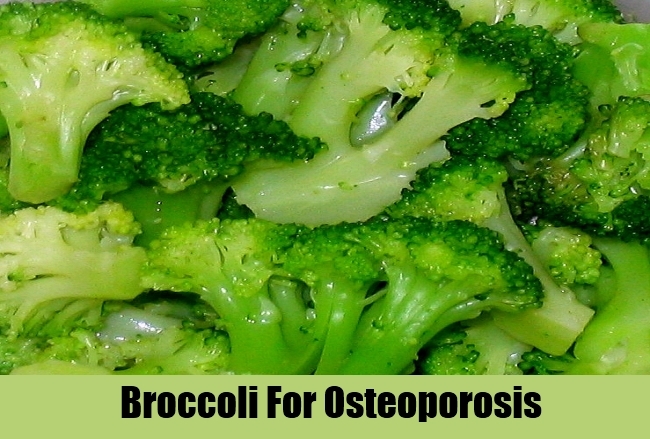 So, add broccoli to your daily diet in order to prevent and treat osteoporosis naturally. Vitamin D is essential for effective absorption of calcium in your body. Often, lack of vitamin D is the main cause behind osteoporosis as people do not get enough of it through food sources. 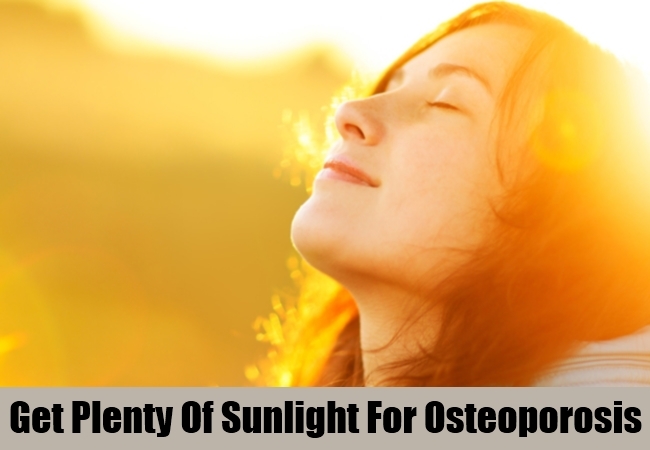 The best way to cure osteoporosis naturally is, therefore, to get plenty of sunlight as it helps keep your vitamin D levels high. If you are suffering from osteoporosis, it is also important to take vitamin D supplements regularly. This also helps decrease the discharge of calcium in the urine. 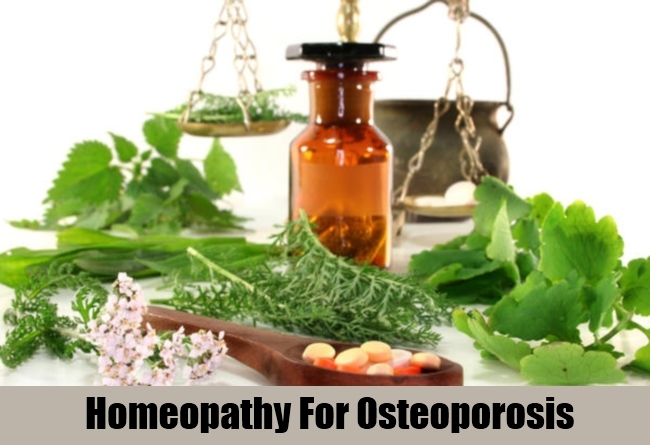 Homeopathic medicines are very effective in treating osteoporosis and you should consider using them in order to get a holistic treatment that has no side effects. These are to be taken as per your symptoms and individual traits which your homeopath will diagnose and recommend. Some of the widely used homeopathic medicines for osteoporosis include calcarea carbonica, calcarea phosphoric, silicea and symphytum. 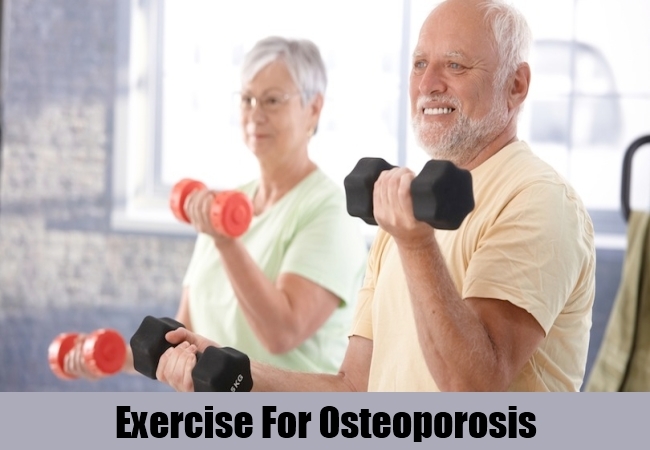 The most important way to keep your bones strong is to exercise regularly. 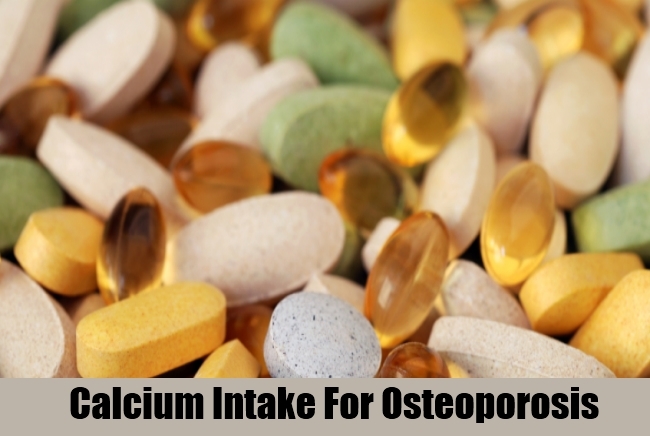 This helps to build bone density and is the best natural way to prevent and cure osteoporosis. Aerobic exercises like dancing, running, zumba and others are very beneficial for building bone mass. Lifting weights also helps, but start with low eights under supervision. For elderly people, walking and yoga are two gentle forms of exercises that are useful. Daily calcium intake of 1,000 mg for people under 50 and 1,200 for over 50 is recommended in order to keep the bones healthy. Eat plenty of calcium rich foods and have milk products daily to get this daily recommended dose naturally. You can also consider taking supplements, if required. Apples, grapes, pears, nuts and honey are also beneficial in the treatment of osteoporosis. Eat lots of sprouts daily as they contain vitamin K that is required by your bones to become stronger. Get manganese naturally from foods such as spinach, beans and pineapples.